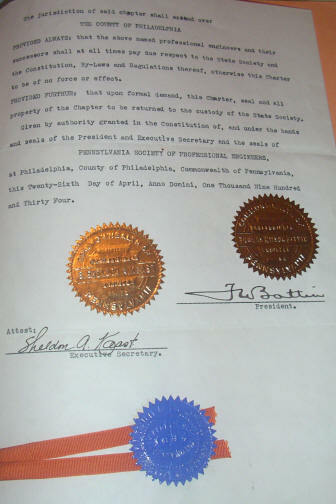 In 1934, in the depths of the great depression, a group of engineers met at The Engineers' Club of Philadelphia and decided to form a group that was dedicated to maintaining the professional integrity of the engineering profession. At same time in New York and four other cities similar groups formed. These groups decided to combine and form a larger organization, which was to become NSPE. 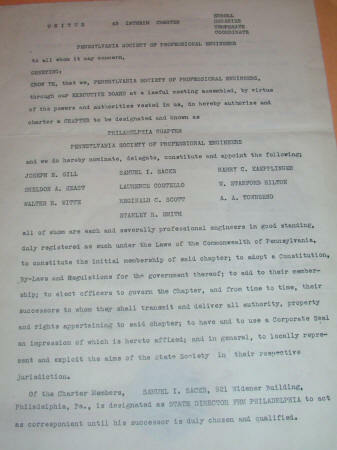 The Philadelphia Chapter of PSPE, the founding chapter, grew to over a thousand members and then began to split into smaller county based chapters. PSPE Philadelphia Chapter. All rights reserved.